Davis (Dabuu) here with a new username because I wasn't feeling the old one anymore. 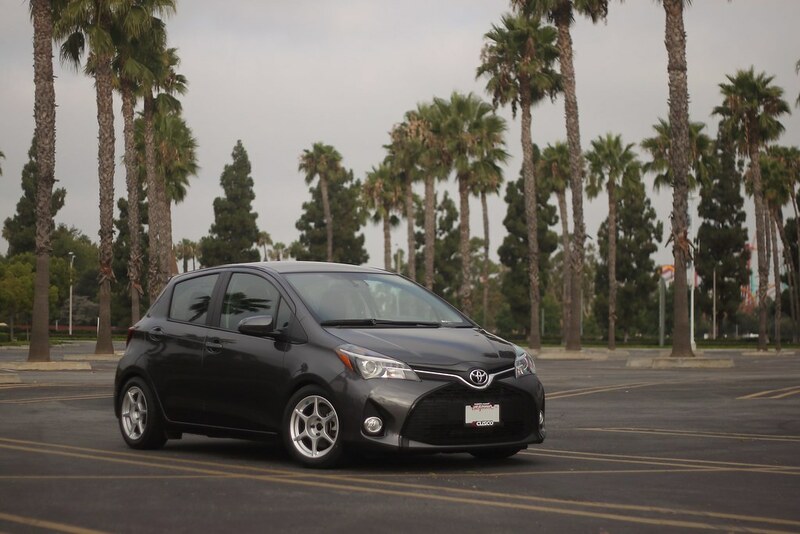 I like the idea of building my Yaris to B-spec rules, even if it doesn't show up as an eligible MY in SCCA's GCR. Since I'm not planning to compete, some of my mods will not be legal, hence the wannabe. I figure this will be a good way to compare my times with legit B-spec-ers. Cusco Street Zero w/ Center Lock Pillowball Mounts. Front dampners are not adjustable, but the rears are 14 way adjustable, already not legal for the class haha. I also like that Cusco supplies a linear spring for the rear. The rear has been adjusted to max low since I took this picture. 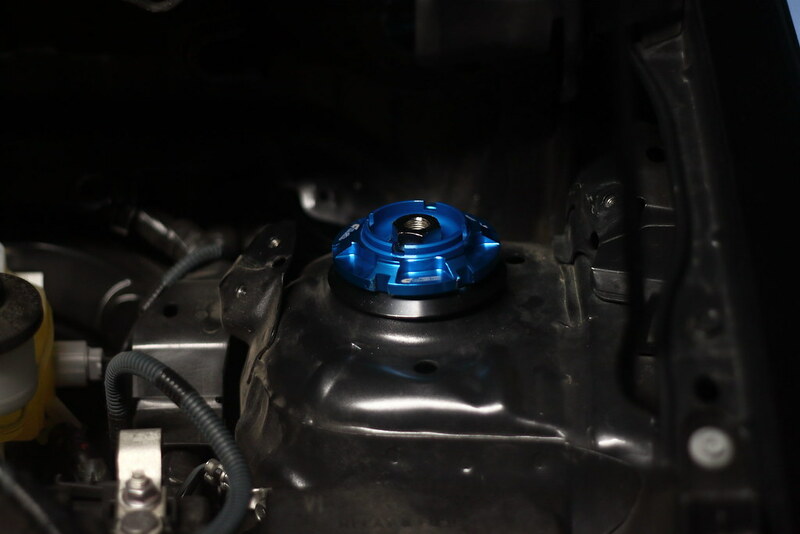 The center lock idea is pretty cool by getting rid of all the rubber bushings up front, but the aluminum teeth for the spanner wrench to lock onto are so weak that the edges start snapping off when torquing down to 80nM. Should've been made out of steel in my opinion. Kosei K1's 15x7 +30 in Miata Spec, ~13.5lbs a wheel. 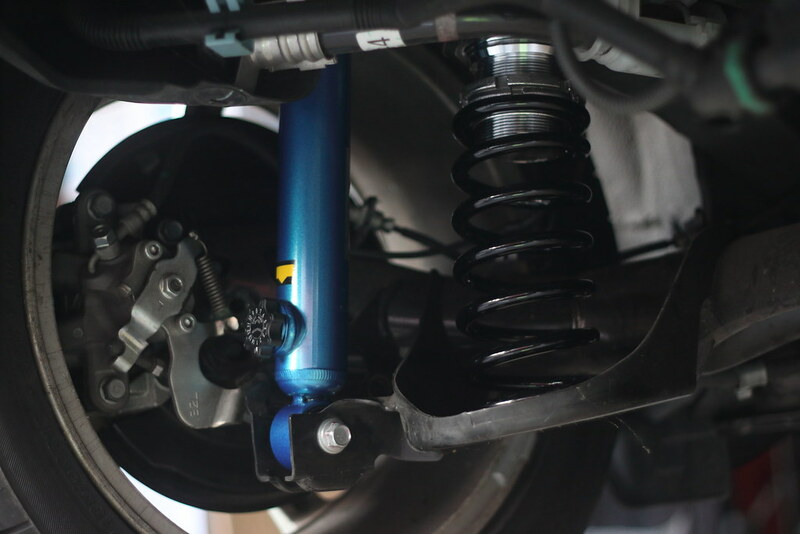 They are hubcentric to the Yaris, easy to clean, and they clear the SE's larger front brake calipers. My rule of thumb is, if the wheels clear a Miata w/ Sport Brakes, they'll clear SE brakes lol. The wheels are wrapped in 205/50R15 Dunlop Direzza Star Spec ZII. The rears do rub, so I will need to roll them in the future. I still have a lot of stuff to do before I get back on track, but I'm aiming for TRD Cup @ Streets of Willow on August 19th. - Willow Spring's Dirt as Ballast. Last edited by deng; 10-26-2017 at 02:07 PM. Nice. And lol about the name switch. Too bad I don't know anything about auto-x/track rules. 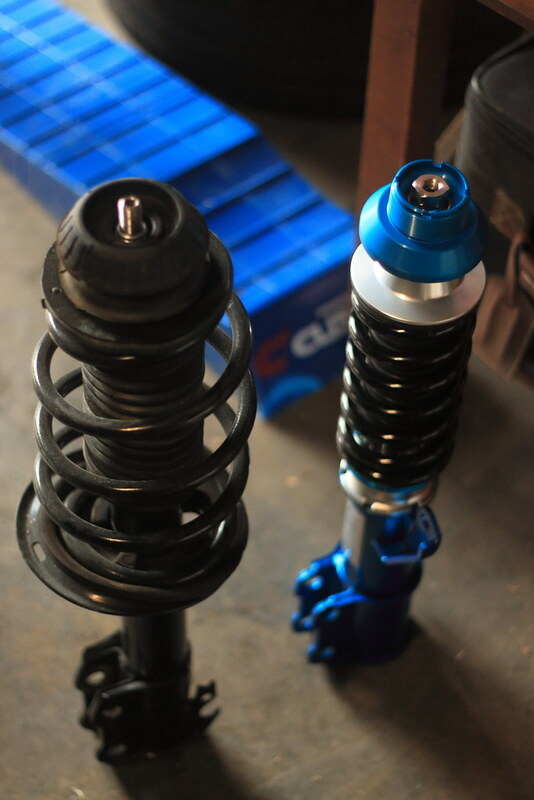 When the dampers go out on Dory, I'll most likely get coilovers. I like the Tein Flex Z I have on the FR-S, so I might get a set for Dory in the future. The Yaris' list of allowed modifications is puny compared to the Honda Fit's and Mazda2's lol, so I'll be adding things that aren't legal for the Yaris, but are for the heavy hitters. Wow! Love the build and can't wait to see what's next. The GCR line for the Yaris needs to be corrected and updated - no one at TMS cared, and no one was racing one, so its listing never got fixed. Should be 2007-2011 hatch, and then a separate listing for the 2012+ hatch, and one for 2007-2012 sedan. If they dont list them that way the wheelbase spec will be wrong. Also, if someone wanted to run an SE in BS they would need a separate spec line due to the difference in brake size - expect that to come with a weight hit due to "brake advantage" over the standard model. I just put the pillowballs on snug with the spanner, and used loctite, they have been fine. I figured no one at TMS cares haha, and looking at some of the b spec races, they're dominated mostly by Fits and Minis. I wonder how the field would've looked if Toyota did support b spec. Anyway, no worries here, I'm just out there to have a good time. The b spec times will be my motivation to push a little harder. 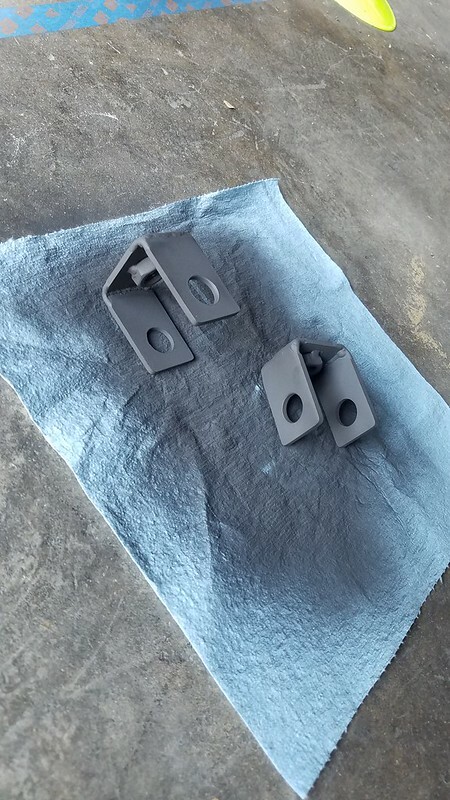 So I fabbed up some camber locking plates out of 1-1/4"x1/4" 1018 CRS flat bar that I had laying around. 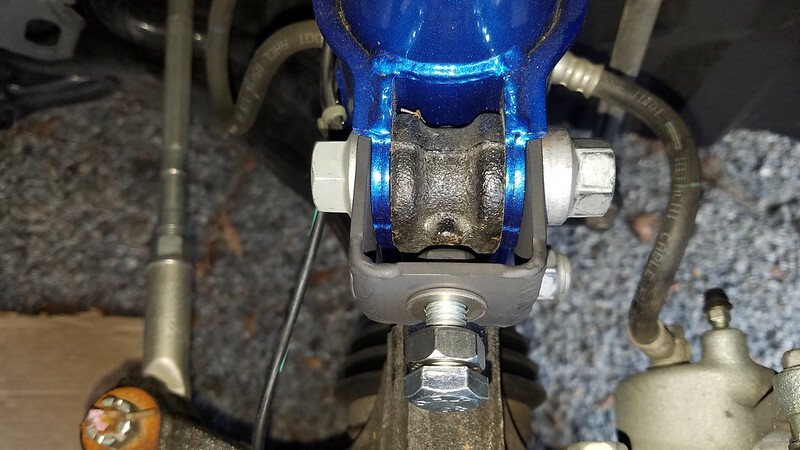 I'm running Toyota's 3 dot camber bolt (I don't like the cam types), and wanted to prevent any positive camber slip when on track. Got the idea from the Suzuki Swift tuner, R's Racing. Painted with some BBQ grill paint I had laying around. I hope it holds up at the track. 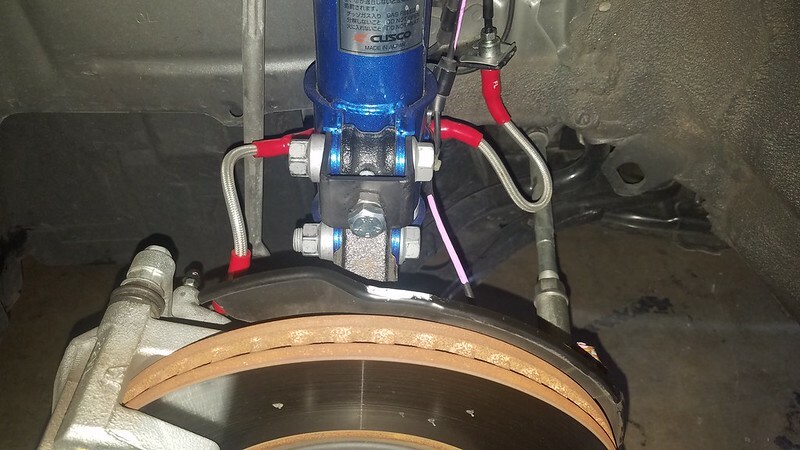 Today, with the help of some buddies, I was able to install my TRD brake and clutch lines. 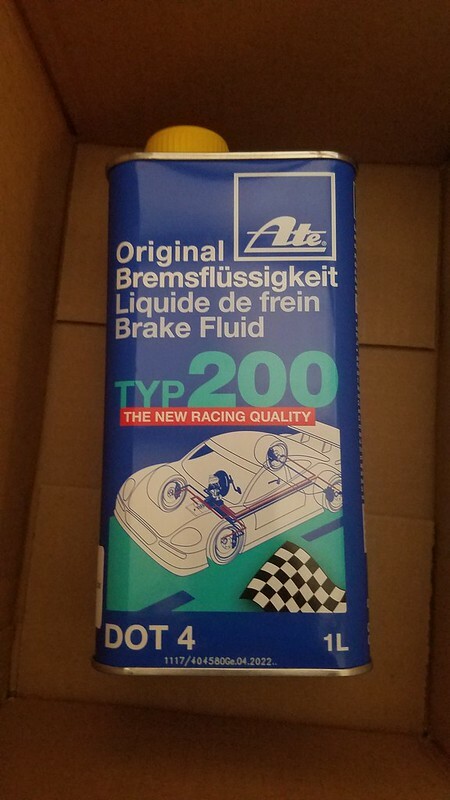 I never had any problems with ATE's fluid with my previous cars. It's nice having enough people to pump brakes, and watch the fluid level. Last thing you want is to run that reservoir dry, and then having to bench bleed the master. It's hard to tell in this picture, but the rear uses 2 sets of brake lines. One for the torsion beams pivot point (towards the front), and one to the caliper. 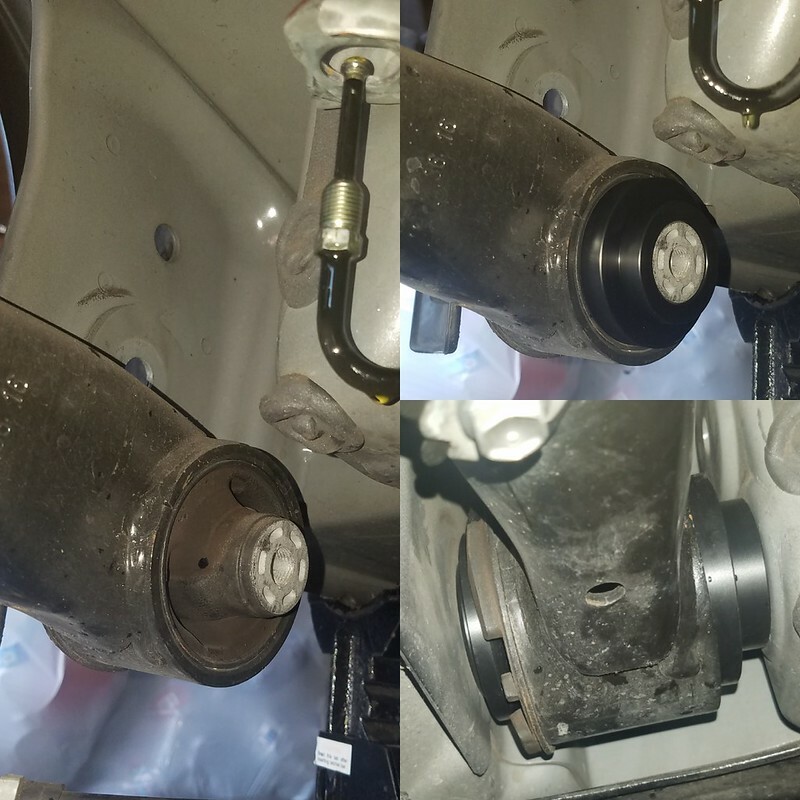 The clutch line was surprisingly the most difficult to replace, only because the brake fluid just kept running down as we were scrambling to thread in the 10mm nut. Make sure you have plenty of fluid in the reservoir! 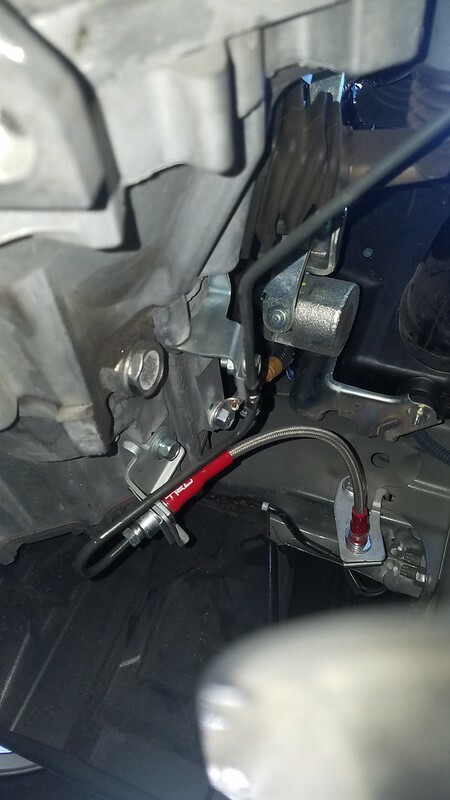 I also installed the Blood Sports Rear Torsion Beam Collars. 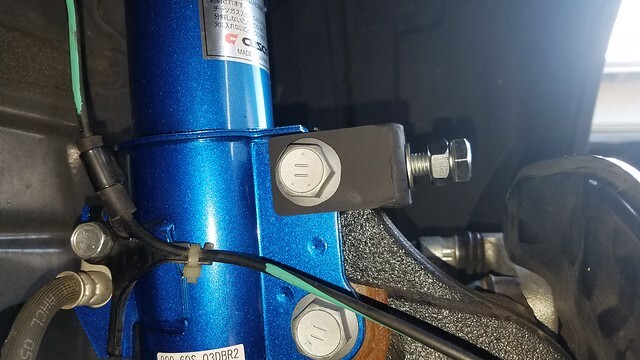 Since we had to disconnect the brake line at the beams pivot point, this allowed us to lower the beam from the vehicle. We used 2 jacks on each side, we didn't want to support the beam in the middle and risk bending it. The fit was spot on! The collars are made of delrin if anyone was wondering, good stuff! Initial impression with city driving; I didn't feel any difference with braking or pushing in the clutch. I did just replace 10k mile hoses lol. I can't wait to see how these work on track. Enjoying the thread so far. How do you find the torsion beam collars? 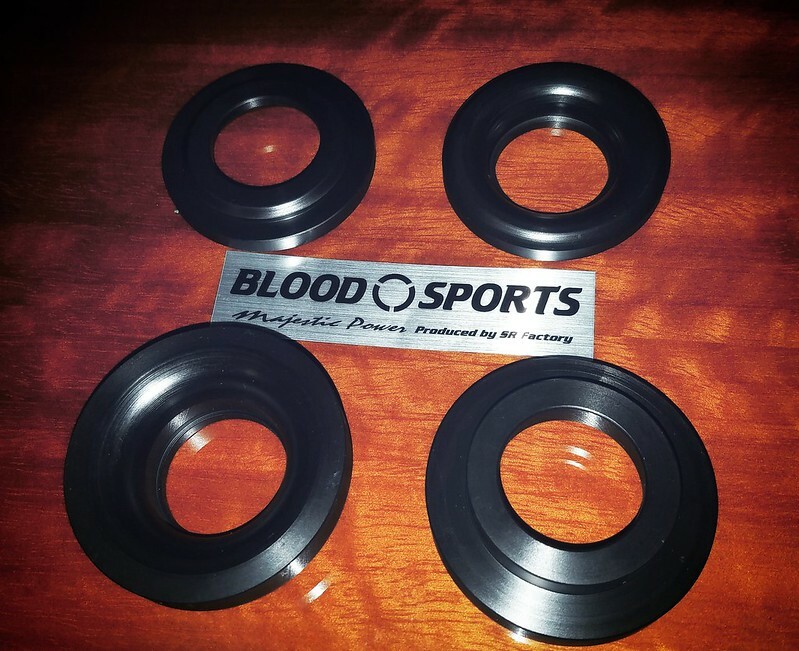 I was searching around google.co.jp and ended up finding SR Factory Blood Sports website, http://www.bloodsports.jp/product-group/10 (would love their coilovers <3) I asked www.rhdjapan.com if they could get their hands on it, and they emailed me back a couple days later with the link to purchase. Go to www.rhdjapan.com and search ncp131. 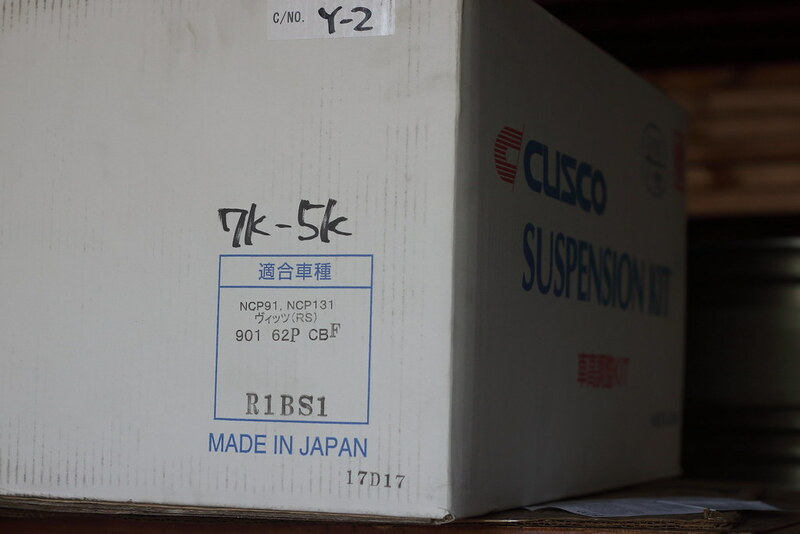 It shows that it's for the ncp131, but it should fit the ncp91 since the torsion beams are the same. 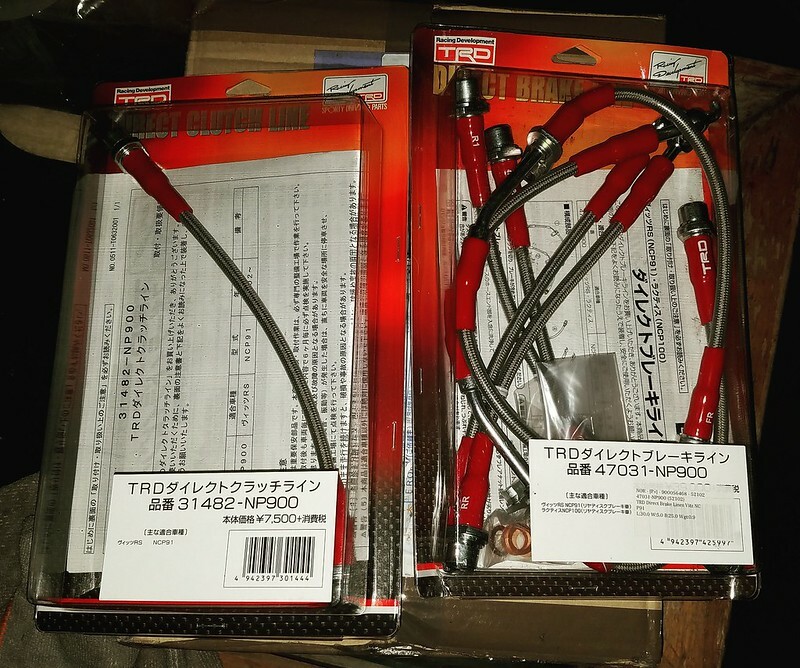 TRD japan also sells a set, but I wasn't sure how I was going to get my hands on it. Nengun has them listed, but I never delt with them. I haven't noticed any extra NVH from them, I do notice less wiggle in the rear while spiritedly driving the on ramp this morning. What was the price of the bloodsports? Did you sell your bilsteins when you got your cusco co's? If so how do you like the Cusco's compared to the B8's? I wanna say it was like $200 after the middle man fees and shipping from Japan at the time. 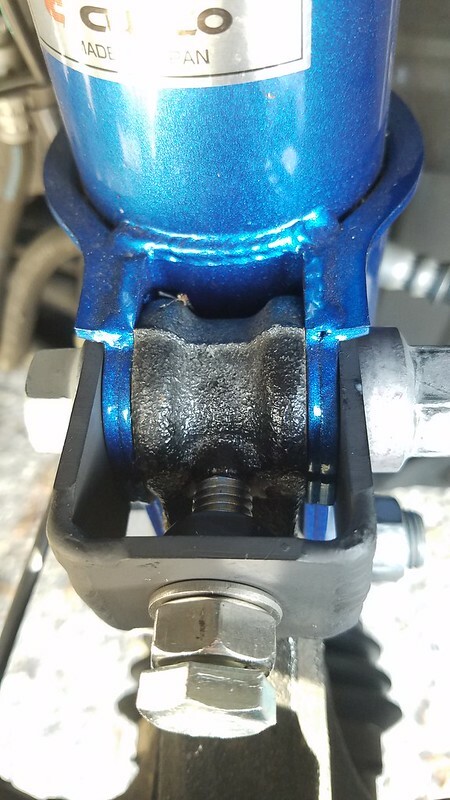 Thanks Jason, here's to my welds holding up! That looks so clean! Probably one of the best looking late-models I've seen with that grille. 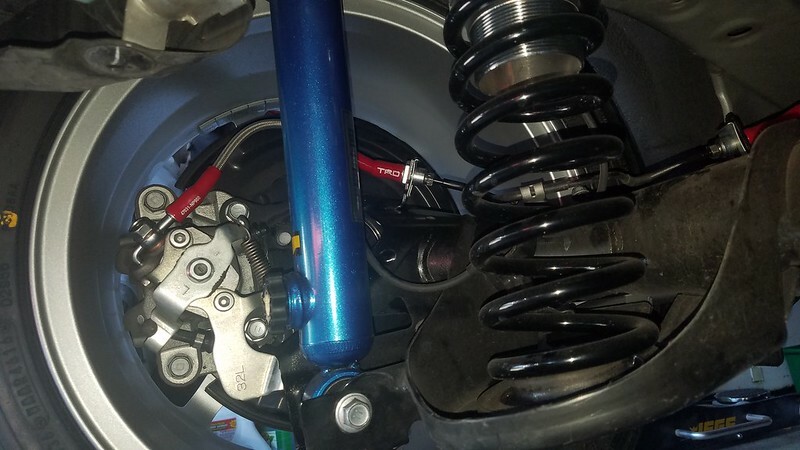 Out of curiosity, have you done any power mods or is it allowed in your class that you'll be competing in or does the car really need any for autox? I didn't want to start a new thread about it and it's kinda hard to find info on people modding the current gen (MY15~ unless it's purely a facelift and entirely same powertrain). I've been really considering getting a new/newer yaris to potentially compete in as I do love these things and wish we got the old RS and the new Gazoo racing version.